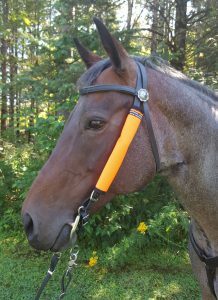 Quick Dura-Grip® Hook and Loop Attachment make our headstall wraps easy to apply to any standard horse size headstall or halter bridle. 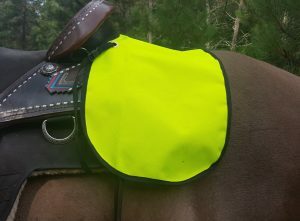 Our headstall wraps are 10″ in length, and are available in 3 different 1000 Denier Cordura® colors, our blaze orange, lime green, and neon yellow. Ideal for use during hunting seasons September through November. 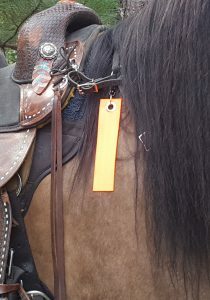 2″ Blaze Orange Nylon Strips 8″ in length, equipped with a handy carabiner clip at one end to attach virtually ANYWHERE on your animal’s tack. 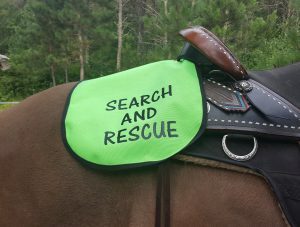 Attach to headstalls, halters, breast collars, even cruppers or rear cinch rings. Comes in sets of two, so again, we have both sides of you covered! 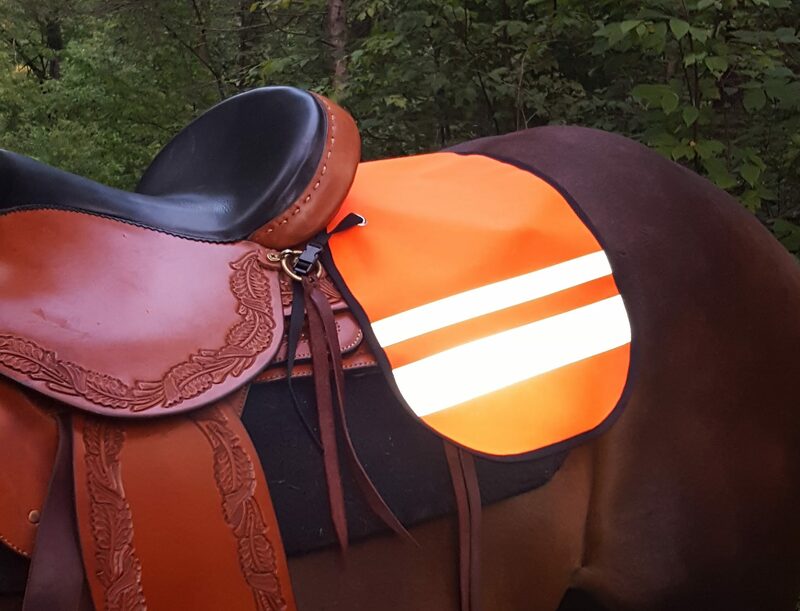 Designed after customer (and friend) requests for a product to make their horses more visible while being ridden during hunting season. We all know the die hard trailrider REALLY does not fancy shelving the ride during the awesome fall riding weather. 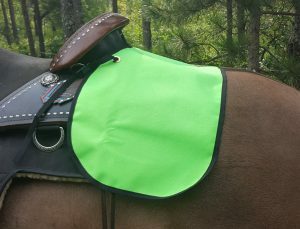 Our Croup covers were designed to help your horse stand out while in the field during big game hunting season. Constructed of heavy weight 1000 Denier Cordura®, the fabric is nearly indestructible, and we have field tested it in some of the toughest conditions. 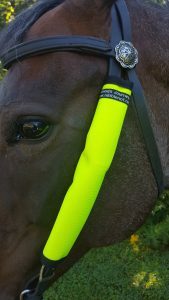 It is available in three different high visibility colors, the traditional Blaze Orange, Lime Green, and Neon Yellow. 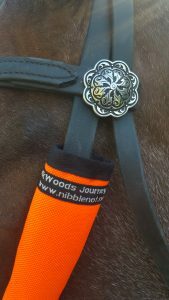 Quickly and easily attaches to your saddle bag rings behind your cantle, or even your flank cinch rings. 1.2″ webbing and a slide buckle make for easy adjustment. 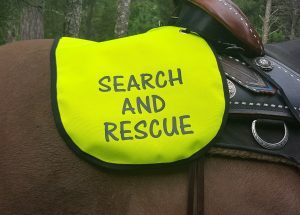 The same as Croup Cover Trail Edition, only with high visible “Search and Rescue” wording on each side. 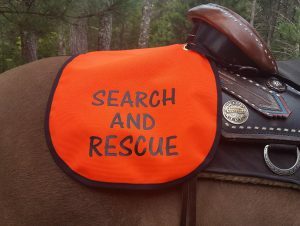 Lend legitimacy to your group, and your purpose for being on site at Search and Rescue Operations. 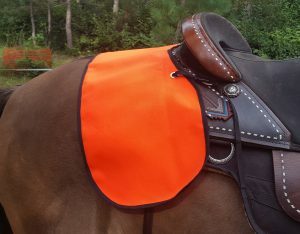 Also available in all three colors, Blaze Orange, Lime Green, and Neon Yellow. Price 39.00/Each We also offer custom printing. Just give us a call so we can get all the details. 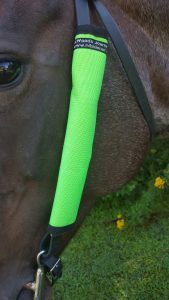 Our Night Vision Croup Covers come in the three standard colors, Blaze Orange, Lime Green, and Neon Yellow. 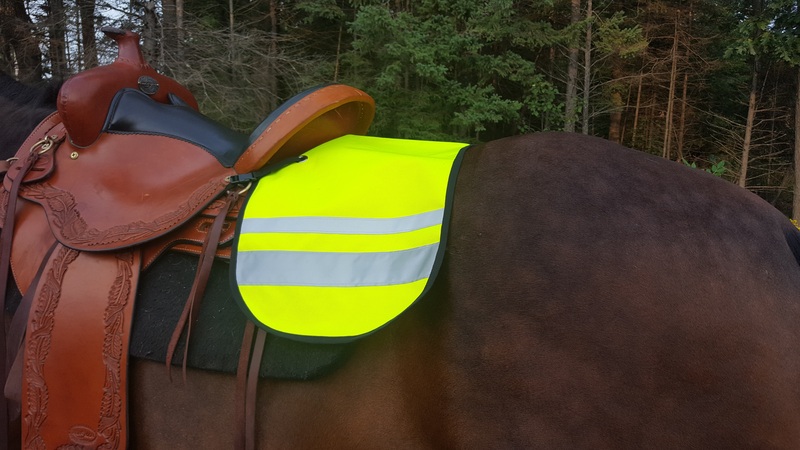 One each side there are two lines of highly reflective tape, one strip 2″ and the other,1″, sewn into the product. 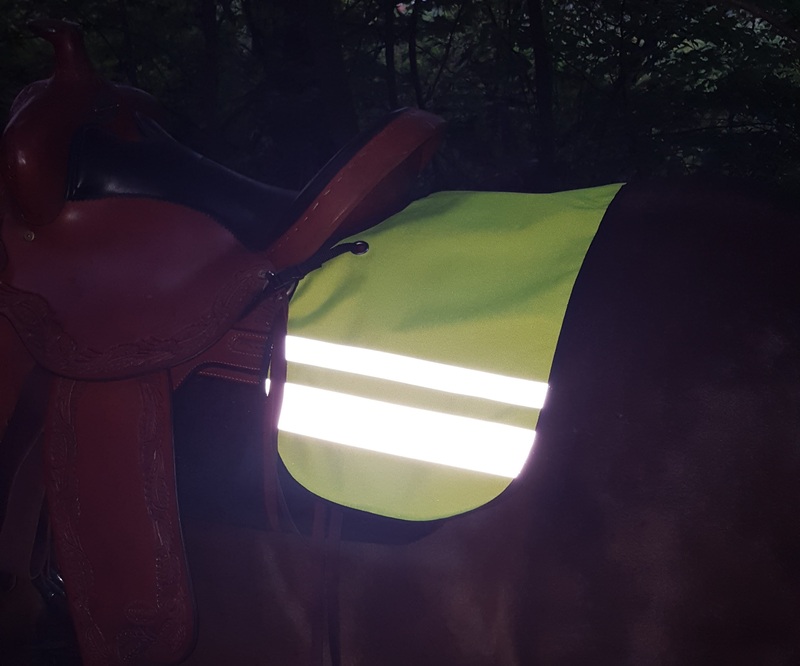 If you ever find yourself riding in low light conditions or frequently ride along roadsides or ditches, our Night Vision Croup Cover will help you be seen. Wash on low temperature setting using mild detergent. Either air dry or dry on low setting. Do not bleach. Soil may be removed with spray cleaner or detergent and water. Do not bleach.